We don’t know how. We don’t know when. But death comes for us all. To be human is to wrestle with this truth and with the great unanswered question: How do we live with death in our eye? We can deny, we can rail, we can challenge, we can accept. What is our story, and will it sustain us at the end? 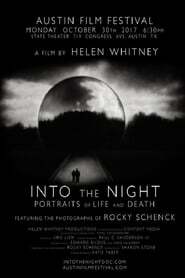 “Into the Night: Portraits of Life and Death,” a two-hour documentary, features men and women of uncommon eloquence and intelligence who are grappling with these questions. For them death is no longer an abstraction far off in the future, it is real. They come from all walks of life, all ages, dying and healthy, believers and unbelievers, well known and obscure. These are people who have been shocked into mortality and are forever changed. They have stories to tell, and we can listen and learn from them.